Today is one of the rare days where there is more than one fantastic game on Steam Greenlight. While I decided to cover Wildfire for my spotlight, I wanted to be sure to give Outward – The Adventure Life Sim some attention as well. While I’m not typically a fan of these open-world survival type games, I can definitely see the appeal in taking the role of an adventurer in a fantasy world. 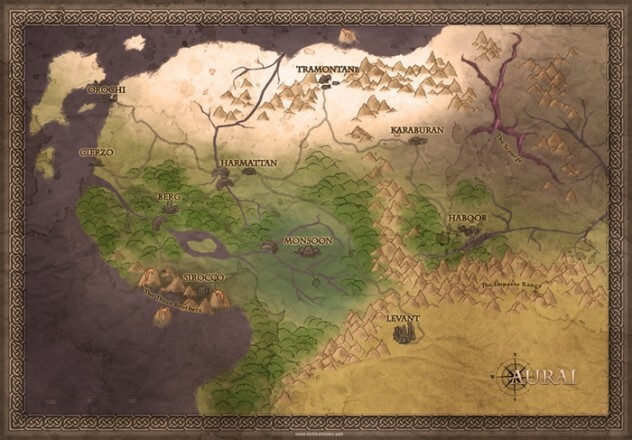 Outward – The Adventure Life Sim began with a simple question: “What would it be like to live the life of an adventurer?”. The more I’ve thought about the question, the more I’ve come to understand just how fantastic an idea the game has. Being able to run through the daily routine of hunting, cooking, traveling, and finding places to sleep in an unforgiving fantasy environment will definitely make for some entertaining and exciting gameplay. Outward – The Adventure Life Sim will allow you to play in single player, or join a friend in co-op. Co-op will definitely increase the entertainment of the game, as I can see potential for arguments over gear, food, and shelter. Also, having a reliable co-op partner can definitely increase the amount of work that you can get done each day. For example, one of you can go out and search for animals to hunt, while the other can survey the path ahead to scout out any obstacles. Even though the game will be co-op, each player will have the ability to roam as far away from each other as they’d like. I really like the idea that there are two players in this large world, as one of the most frustrating things in co-op gaming is when you are tied to another player who wants to go one way, and you’d like to go the opposite direction. Outward – The Adventure Life Sim also does one of my favorite things in gaming: providing consequences for failure other than death. An example given on the game’s Greenlight page is that if you lose a fight with a group of bandits, you may find yourself captured, or left for dead stripped of all of your belongings. This dynamic failure brings all sorts of possibilities to the table, and is one of the features that I am most interesting in seeing the developers expand upon in the future. In terms of the survival aspect of Outward – The Adventure Life Sim, there are many factors that contribute to keeping a healthy and happy character. You must provide food, choose proper clothing, purify water to drink, build structures to use for shelter, as well as many other things in order to stay alive. The game features seasons, including a proper winter in which the snow will slowly accumulate on the ground and on other objects until they are covered with a blanket of the stuff. Having extreme environments creates a unique challenge where you must be sure to pack the appropriate gear to survive any situation. For example, if you are traversing a desert environment, you must make sure to bring adequate water as well as equip your character with the appropriate clothing to prevent overheating in the unforgiving climate. 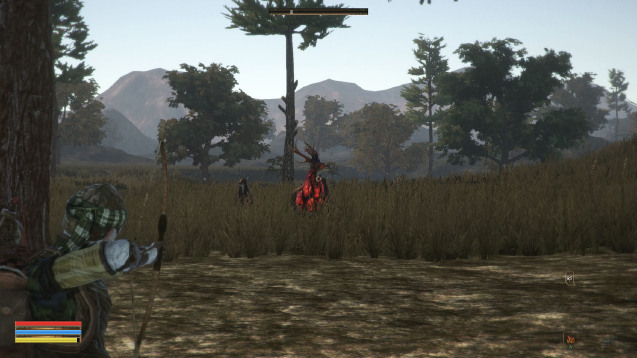 Outward – The Adventure Life Sim features a dynamic quest system. The game boasts that if you are not around to save someone in need, or you choose to wait, they will not be there when you return. You must make difficult choices about whether or not to spend time helping others, or helping yourself. The questing system is much like the dynamic failure system, meaning that the outcome will change based on your choices, or lack of choices. You may return to a village that was previously in turmoil to discover that it has been completely annihilated by monsters or bandits that you could have helped fight off. Again, the ability to fail in games is an underused idea, and it is very refreshing to see Outward – The Adventure Life Sim making use of failure in their game. Finally, as you will inevitably perish or retire in Outward – The Adventure Life Sim, the game ensures that this is not the end of your journey. 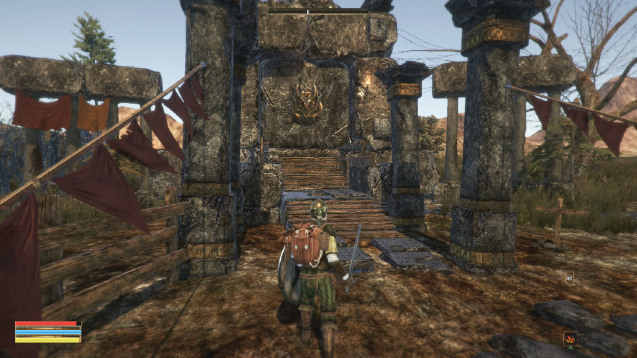 Through use of the Legacy system, you are able to pass down your skills and gear to the following generation of adventurers, creating a sort of new-game plus mode. Having this mechanic in the game ensures that players will not feel as if they’ve wasted their time upon losing a character. Other games in the genre that feature permadeath have often left me feeling empty upon losing a character, but knowing that I can begin anew with my gear and skills will make it easier for me to take some risks and enjoy the game, rather than hiding and avoiding any conflict. 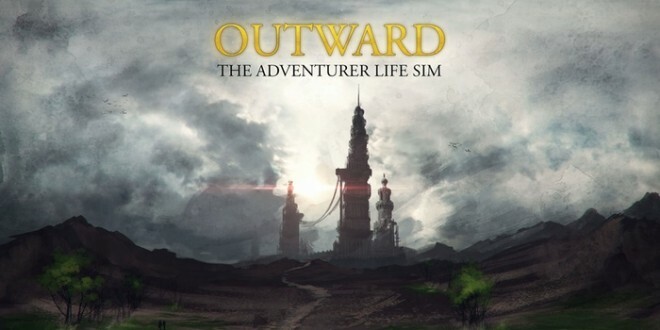 If you like the sound of Outward – The Adventure Life Sim, be sure to check out their Kickstarter and consider leaving a contribution. Also, you can find them on Steam Greenlight, where you should definitely consider leaving a vote and some constructive feedback.